Casa Aqua is a Spanish Mediterranean estate. The mansion, which can be rented separately or with the adjoining honeymoon cottage, consists of 5 bedrooms and 3 1/2 luxury baths. The state-of-the-art kitchen is a true culinary experience. The palatial living room features a solid oak circular staircase leading to a private office-bedroom with high speed internet access, fax and computer. Each bedroom is a designers dream with exclusive sheer fabrics, linens and tropical island furnishings. 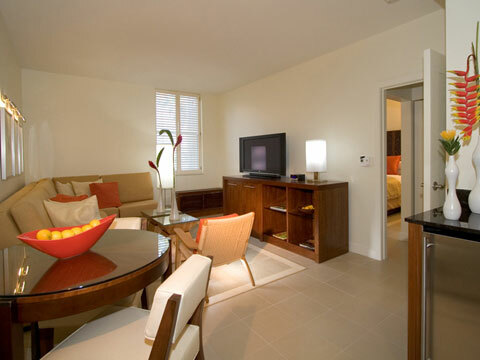 All rooms have exquisite Italian marble floors, ceiling fans and flat screen T.V.s. The honeymoon cottage which is situated on it’s own 2 acres within the estate has a private Jacuzzi, steam room, spacious European shower, vaulted ceiling and a fully equipped kitchen. The romantic 3 story loft bedroom has spectacular panoramic views of the Atlantic and Gulf. Enjoy plush comfort while viewing sea birds soar past your bedroom windows.